DO YOU KNOW WHO GVM CALLS AS THALAIVAR? The songs of AYM are still ruling the playlists of the majority, thanks to the magical composition of A.R.Rahman. Even after the release of the movie, the songs are much discussed among the audience, especially the Thalli Pogathey and Rasaali numbers. 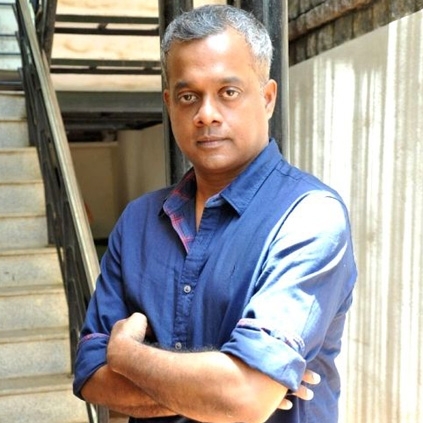 During an exclusive interview to behindwoods, when we asked Gautham Menon, whose idea it was to have a classical blend in the Rasaali song, he gave the entire credits to A.R.Rahman. He said, "Thalaivar dhaan. I had explained the song situation to Rahman sir already and we started to work on the song. Myself, Thamarai and Rahman sir sat together and worked on it. That's when the concept of imaginary bird, Rasaali, struck us. Rahman sir then recorded the song with voices of Sathyaprakash and Shasha and gave me the basic track. He gave me with an assembly, without any interludes. He asked me to shoot the song, and we shot the song with both Simbu and Naga, in real locations from Kanyakumari to Maharashtra. After the shoot, we edited it and gave the visuals to Rahman sir, who saw it and gave the idea that we can go with some classical interludes. Usually, only after composing the songs, people will go on to shoot it, but Rahman sir first saw the visuals and then only gave the final touches to the song with the interludes and other sounds. So, I am very lucky in that way." Forty five days for Chiyaan Vikram! A new milestone for Sivakarthikeyan's Remo! Sreesanth becomes a dad again! People looking for online information on A R Rahman, Gautham Vasudev Menon, Rasaali will find this news story useful.